Who are the best FOREX Traders? Here we will look at the FOREX markets and the traders who make prices move and see why most traders lose, only a small minority win and how you, can join the elite small percentage of successful traders who make big profits consistently from the markets. By the end of this article, you will understand how the worlds top currency traders make money and be able to join them. You will learn what it takes to become a successful FOREX trader and learn, how they trade and more importantly, get an insight into how they think and discover the right trading psychology which is the key to long term success. If you want to learn about, how successful FX traders make money while the vast majority of traders lose all their money fast, the best place to start is by looking online for stories of true trading greats and you will find info on this site about the World's Top Traders. We have covered a diverse cross section of the worlds top traders which include many which are household names such as George Soros and Jimmy Rogers and also lesser known but no less successful traders such as Bruce Kovner, Paul Tudor Jones and Bill Lipshutz. You can expand your knowledge of these traders by getting some Essential FOREX Books and perhaps, the best couple of books you can get are Market Wizards and the New Market Wizards, both of which are edited by Jack Schwager. The concept was simple - get the best traders in the world, interview them and get them to reveal some key points on the their trading techniques for profit and also, look into the mind of how a successful trader thinks. The books have been around for a while but remain top sellers and they really are essential reading for any FOREX trader who wants to make consistent profits any financial market. Which is the Best Trading Method of All? When you read about the great currency traders, you will learn that they all have very diverse ways of trading to make profits. You get traders who trade the long term fundamentals and scoff at technical analysis and others who trade technically, and don't believe in the fundamentals! You will also find, they trade in different ways - you get some who trade long term trends, some who are swing traders and others, who like to trade contrary to the trend at turning points which shows, there is no one best way to trade currencies or any financial market. The fact is there are many different trading strategies with which to make money but all the great traders, agree, that to become a profitable trader, you do need some key elements in your strategy and we have listed them below. Money management is a boring subject after all, how many traders like to focus on losses? Not many and traders are always looking for secrets and techniques which can make money and think money management is not as important but to win - you need to make sure that you keep your equity intact. To make profits from the markets long term, you must have a money management system which will help you preserve equity and protect the money in your account. There are a huge variety of methods and techniques which can lead you to success an make you profits but the base of any successful trading strategy is - effective money management which has correct stop loss placement. Money management is based upon managing both trades and overall money in the account. Why is it so Hard for Traders to Follow Trading Signals? Discipline is the ONE word you will continually hear stressed in any interview with the most successful traders - you need to follow a trading plan with discipline -so why is this so hard to do? We have looked at the reasons in other areas of this site but the main reason is uncertainty of the outcome and also due to the fact you will probably lose more trades than you win. This surprises a lot of beginners who think, they will win the majority of their trades but if you read the stories of the real pro traders you will see they don't but they really don't care their focusing on what matters which is - size of profits v the size of losses. All they care about is a profit long term and the number of trades they lose is not important. Many novice traders are also surprised to learn that the best traders can lose for many weeks or months on end but again, this doesn't bother real pro traders - they know trading currencies is a long term business and therefore, they focus on the long term. So you can see why many people find trading currencies so hard - they have to accept losses and lots of them and trade through periods of draw down, where they will doubt their ability and want to change or stop trading the plan they started with! Of course if they have a trading strategy which has an edge over the longer term all they have to do is follow it and can win but most trades, get frustrated or won't accept, they have to endure short term pain to make a long term gain and lose. They want to see trading foreign currency as a way to get rich quick or which is more certain in its outcome and either soon lose or give up trading. When you read stories of the traders who have made millions or even billions of dollars in profit, you will notice that a big percentage don't have high academic training and many only have a basic education. You can conclude from this and we have stressed it throughout the site that intelligence is no help in making you successful at trading because trading foreign exchange is very simple! 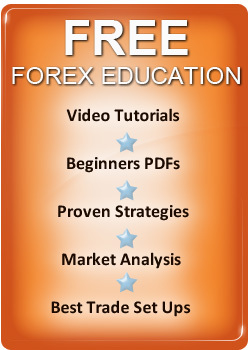 Anyone can learn the FOREX basics for success but very few traders can get their minds to think like the pro traders but the good news is - you can if you want to. Choosing to see the reality of trading for what it is and changing your mindset to make you successful is easy if you want to do it. If you study the really successful FOREX traders, you will see how they make money and will understand how you can become successful to. One of the great traders Ed Seykota believes that successful FOREX traders are chosen and rather than made so he believes nature trather than nurture is the key and to a point I think he is right. Not every trader, will make millions or billions but the fact is - anyone can learn to make money and the amount of profit you can make is high in relation to the effort you have to put into your trading strategy. Not everyone who learns to trade is going to become a super trader and make billions, life simply doesn't work that way but as you will learn at the end of this article, its been proven that people can learn to trade and be successful traders.